“Let’s breathe.” My boyfriend’s voice came through the speakerphone, garbled but reassuring. I sat on the edge of the bed in my hotel in Budapest and tried to focus on my breathing as he counted to four from halfway across the world. Gradually, as I breathed deeply and in sync with his counting, whatever had caused me to become so anxious faded into triviality. This scene has not been uncommon to my college career; as the stresses of work and academics have exacerbated anxiety, I’ve found that practicing breathing, meditation, and yoga have made a colossal impact on my mental health. The practice of yoga is connected to dozens of health benefits: improved flexibility, muscular strength, enhanced posture and balance, cardiorespiratory health, increased blood flow, decreased blood pressure, boosted immune system, more regular sleep patterns — the list goes on. Beyond these physical manifestations, yoga can also lead to an increase in serotonin, one of the happiness hormones, and encourage relaxation. According to a 2007 Yoga Journal article by Timothy McCall, M.D., yoga’s focus on slow and steady breathing encourages the body to shift from the sympathetic nervous system, which is the fight-or-flight response, to the parasympathetic nervous system, which is calming and restorative. The breathing technique that I have found most helpful in calming anxiety is called square breathing, or four-square breathing. 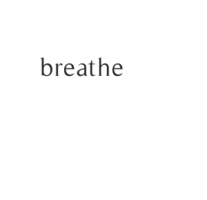 The technique slows breath by regulating it in a series of counts to four: inhale for four, hold for four. Exhale for four, hold for four. Repeat. This simple pattern is subtle enough that it can be practiced in class, at work, or whenever you begin to feel stressed. Another breathing technique is nadi shodhana, or alternate nostril breathing. This technique uses the fingers to close off one nostril at a time and alternate inhaling and exhaling through alternate nostrils; Morgan, who practices it regularly, suggests a “Yoga with Adriene” video on alternate nostril breathing as a resource for beginner instructions. Equally helpful is the practice of meditation, which often goes hand-in-hand with breathing techniques. Meditation and yoga both have a long and ancient history resting in the traditions of the Buddhist, Hindu, Taoist, and Jain religions, and as such, both practices are inherently spiritual. There is certainly room in the practice of meditation for a deepening of faith, but whether or not you are religious, meditation brings clarity, mindfulness, and peace. Sharon wrote, “Meditation does not have to be a long, drawn-out affair. Meditation is about stopping and being present; it’s about giving yourself permission to just be.” Meditation can be as short as three or five minutes, or as long as you like; it can be guided, focusing on a specific thought — maybe prayer, or a concept like forgiveness — or it can be simply sitting still and focusing on breathing. I encourage you to give yoga, breathing techniques, and meditation a try; and I would suggest to anyone who wants to begin one or more of these practices to take some time to research their history and spiritual significance, in order to practice them with respect to the meaning they carry. Whether you desire the physical benefits, like improved posture or greater flexibility, or the mental benefits, such as balance and mindfulness, I feel confident that these practices will positively affect your life. At the end of our yoga sessions, Sharon instructs us to bow slightly to ourselves and thank ourselves for caring for our bodies. In many ways, this is the nature of yoga, regulated breathing, and meditation: a loving care of and attention to the body. The good in me honors the good in you. Namaste.